When decrypting a duplicati backup, I can enter my private key passphrase into pinentry. Pinentry does not capture the input correctly, so I can't enter my password. Instead, the terminal crashes and produces gibberish. The mode of entering stars is sometimes on, sometimes off; when opening vim in the same shell afterwards, sometimes i is not parsed as "insert mode" anymore, instead a * is written to the top left of the screen (but not into the file). reset does not help, only closing the shell is helping. 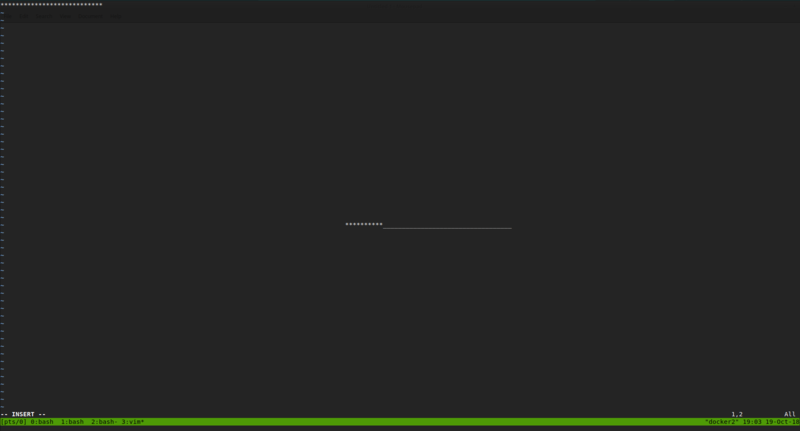 I tested it both with the normal ssh shell and with tmux. Thanks for the reporting templates; would mind to fill in some bug details? b3yond set External Link to https://github.com/duplicati/duplicati/issues/3446. b3yond set Version to pinentry 1.0.0. Sorry, pressed enter too early. the bug report is complete so far. I guess it is a lot of work to reproduce, so I'd try to be very responsive instead. Almost the same bug also happens with pinentry-tty. now * should appear, so you can see how much you already entered. When I press enter, I expect duplicati to continue the restore process. Nothing appears; and pressing enter does not work either. When you press ctrl+c, nothing happens. you can only get out of it through ctrl+z, but then still you can't type any characters into the shell. Original issue (of pinentry-curses, which should be killed by CTRL-C) is related to T2011: gnupg should notify cancellation of its operation to gpg-agent to kill pinentry, I suppose. It is fixed in master and testing. I don't know about the second one with pinentry-tty.